US Secretary of State to visit SA over land issue - SABC News - Breaking news, special reports, world, business, sport coverage of all South African current events. Africa's news leader. International Relations Minister Lindiwe Sisulu says the aim of the seminars will be to better explain the unfolding land redistribution process in the country. US Secretary of State Mike Pompeo is to make an official visit to South Africa in November, and seminars on the land issue will be held in both countries. 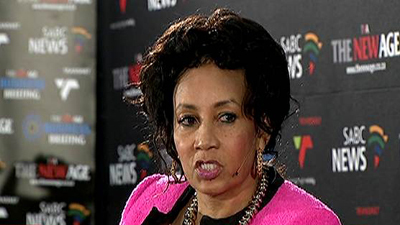 International Relations Minister Lindiwe Sisulu has disclosed this after meeting with Pompeo in New York. US President Donald Trump last month criticised South Africa’s moves towards land expropriation without compensation, and ordered Pompeo to study the matter. Sisulu says the aim of the seminars will be to better explain the unfolding land redistribution process in the country. She was speaking after her meeting with Pompeo. “Both of us knew what the situation is, so there was no point in going into that because we had extensive discussions with the Embassy, and the State Department issued the statement that clarified our position. However, he did say that he thought that we needed to pay attention to explaining our position on the land issue,” she adds. “I agreed, (we are) very eager to do that, the President (Cyril Ramaphosa) has been doing that throughout the time that he was here (in the US), and if it pleases the American business persons who has interest in SA, we would hold a seminar here. The Ambassador was there and he agreed, and we would hold a seminar in South Africa,” explains Sisulu.